When the time comes to buy a new vehicle, you understandably want to find the best deal possible. This extends to the price you pay for a quality vehicle as well as to the financing that you set up for it. Many car buyers prefer to buy a new or pre-owned vehicle from a dealership rather than to look for a previously owned vehicle listed for sale by the owner. 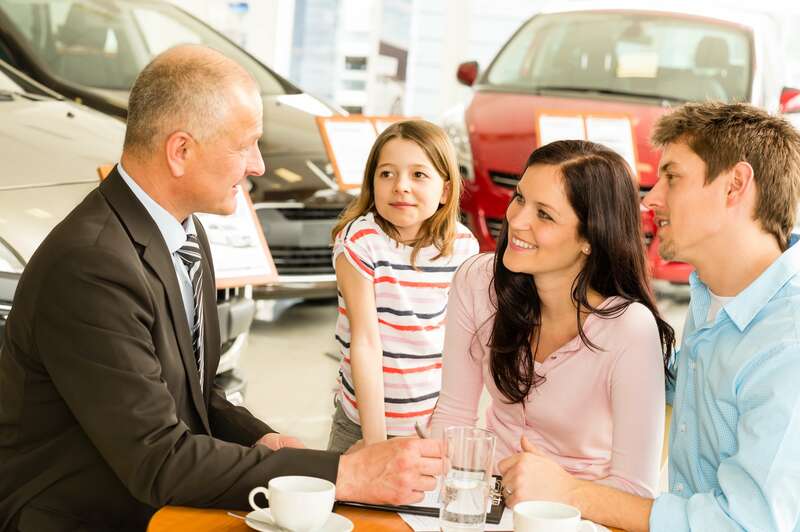 If you have plans to head to a dealership soon to make a purchase, focus your attention on these pointers to have a more enjoyable and successful buying experience. Many drivers have their eye on a specific vehicle that they have previously seen on the road. While you may be inclined to buy that vehicle based solely on its looks and perhaps its price, there are many other factors to consider if you want to make a wise, informed decision. For example, safety ratings can vary substantially from vehicle to vehicle. Even vehicles manufactured by some of the most reputable automotive brands fall well short of the mark in some safety areas. You should not assume that a vehicle has great safety ratings simply because the manufacturer is known for safety and reliability. You also need to read customer satisfaction ratings so that you know exactly what you are buying. Consider comparing your preferred make and model against some of the top competitors. You may be surprised to discover that there is a better overall value out there. After researching your vehicle options, take the next step and look for auto financing online. Dealerships typically have an in-house financing department that is usually affiliated with numerous top lenders. This gives them access to numerous loan programs. However, without shopping for a loan independently, you may not know what a reasonable interest rate is based on your credit scores. Car dealerships can upsell your interest rate or loan fees in order to get a more lucrative kickback from the lender. This means that you should not trust a dealership to give you a great offer without encouraging them to do so in some way. Shopping for financing and getting prequalified before you visit a dealership will help you to avoid getting a bad deal on your loan. A used vehicle’s history and ownership report can tell you how frequently the vehicle was serviced. It can also tell you if the vehicle was damaged in any way in the past. Remember that a vehicle that has been in an accident may have a lower value than a similar vehicle that has never been in an accident. Another important factor to pay attention to on this report is its timeline over the last few months. A used vehicle is usually sold by one dealership through an auction or transferred to another dealership in the same chain. You can usually see when your dealership first took possession of the vehicle. This can tell you how long the dealership has had the vehicle. For vehicles that have been sitting on the lot for a longer period of time, you may be able to negotiate a lower sales price. If the vehicle has been at the dealership for only a short period of time, you may not be able to negotiate as successfully. Some dealerships say that they are a no-hassle or no-haggle dealership. This means that they expect you to pay the sticker price with no negotiations. You should get this dealership’s best offer up-front, and you should consider shopping with other dealerships in your area to get a quote for that same vehicle. Do not keep it a secret that you are doing this. Even if you visit a no-haggle dealership, they may be willing to provide you with an even better offer than they originally provided if they know that you are shopping around. After all, they want to put their best foot forward so that you make a purchase with them. Even though you have found an auto loan with great terms on your own, you should still sit down with the financing department at the dealership to see what offer they can give you. Remember that your prequalification represents the terms that you are asking the dealership to beat. You may think that a lower interest rate or a lower loan payment mean that the offer is better, but this is not actually true in every situation. You should understand auto loan basics and common terminology before you visit the dealership. Understand how to pick a desirable loan term, what financing charges are and how to determine the total interest that will be charged over the life of the loan. At all times, remember that the vehicle that you purchase will be your primary mode of transportation for several years or longer. It will affect your safety on the road, your convenience, your budget and other factors. If you are not comfortable with any vehicle features or ratings, feel free to walk away. In addition, if you are not happy with the deal that the dealership has made or the financing options available to you, head home. You can conduct further research online in a no-pressure environment. You could even email or call a few other dealerships to get quotes for what they can offer you. You may feel pressured to make a purchase because the vehicle may be sold to another buyer if you do not act quickly, rest assured that other vehicles are available that could also suit your interest and needs. In fact, if you are looking at a new car, a dealership can order the right vehicle for you at any time. Buying a new car is a process that may be riddled with challenges and pitfalls. However, when you understand more about what to expect, you can navigate through this process successfully.